Distributors are offering more services than ever, but channels have been slow to take them up, even in the cloud space. 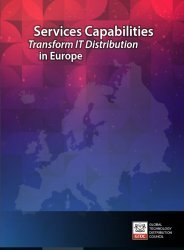 A new study of European distributors reports that channel adoption has been relatively slow, however, with many traditional resellers struggling – or not yet even attempting – to build cloud services models. This creates both a challenge and tremendous opportunity for distributors, the report says. Education will be as critical as the cloud solutions they offer in coming months and years, distributors say. Some partner sectors are moving faster than others: “Services for solution providers are typically growing faster for us, as we get closer interactions with end-customers and better business insights through various co-projects and consulting,” says Svens Dinsdorfs, CEO of ELKO, based in Riga, Latvia. “You can’t compete with price anymore. Services are the way to differentiate yourself from other distributors and retain clients.” He sees cloud computing, sales automation, security-related services, machine learning and Big Data offerings as growth areas. Distribution channels are keen to grow into these service areas and have already invested heavily in the “New Distribution” model. “It’s important for distributors to be relevant, for both our vendors and customers. As markets and technologies evolve, we need to evolve at the same rate, if not faster,” says Peter Adams, Director of Services, Europe, Tech Data. Some vendors are also not keeping up with the pace of change: distributors also say that it is a challenge for many vendors to differentiate value from commodity in their programs – and to define the right compensation models for ensuring their mid-to-long-term strategic objectives. As distributors increase their investments in services, ROI doesn’t necessarily come easily. While some are reporting their highest margins in history, how they get compensated for services varies significantly. Some bundle services into the cost of goods sold while others take a more “a la carte” menu-driven approach, says the report.